I've always wanted to read this. 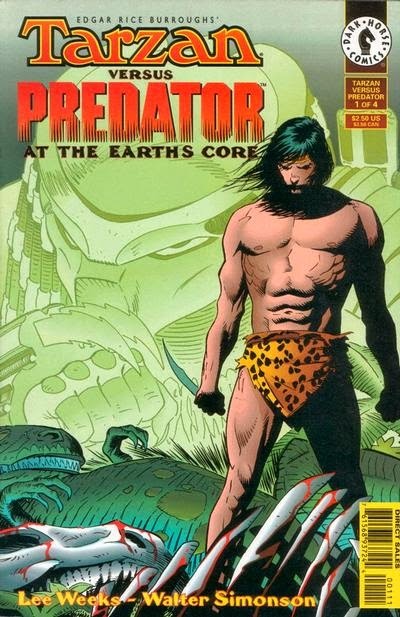 Tarzan versus the Predator in Pellucidar! 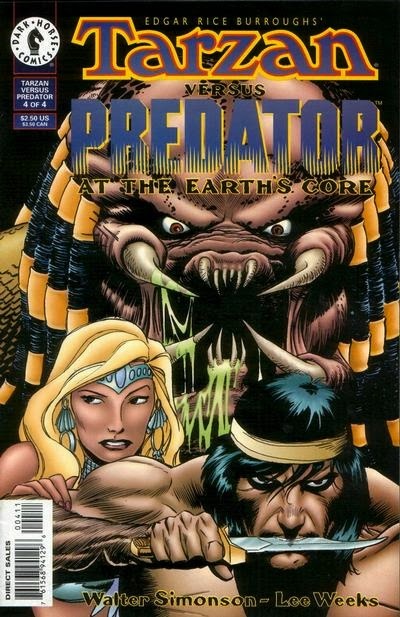 To have Tarzan the hunter battle a Predator seems natural. I've seen the cover of the first issue before, but not the rest so I'm glad you posted this. 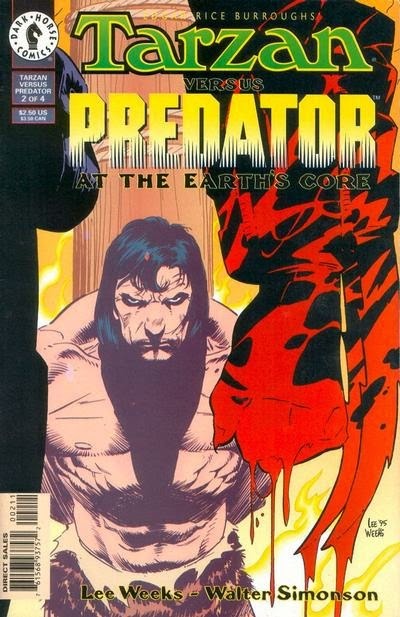 I just found the trade of this at a convention this weekend and I'll be doing a review of it for Collected Editions. It's as excellent as you'd expect it to be from Simonson writing and Weeks doing the art. 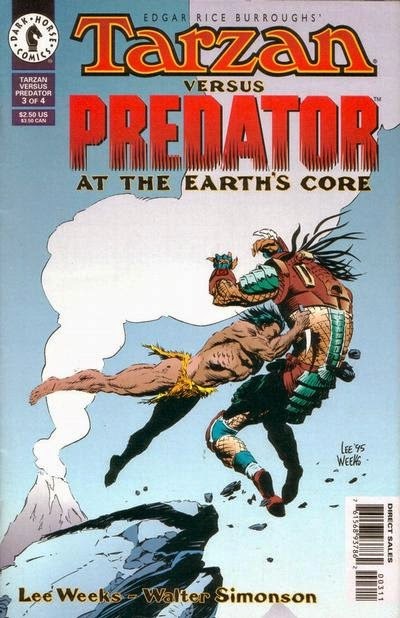 It's also ridiculously faithful to the novels; there are points where it becomes more of a straight-up Tarzan/Pellucidar crossover and the Predators are pushed to the rear. I'm happy to see that you accept it as canon... if only because I think we were robbed of a potential follow-up, "John Carter of LV-426". Four-armed Xenomorphs!